Whilst we endeavor to ensure that our website and property brochures are accurate and reliable based upon the information supplied, these particulars are published as a guide to the property and accuracy cannot be guaranteed.  Neither the particulars nor any statement made by or on behalf of PAD Estates (UK), Pad-2-Let Limited or its subsidiary or associated companies is intended to form part of a contract, rental agreement or warranty. Photographs / Images are reproduced for general information and it must not be inferred that any item is included within in the sale or let of the property. Any intending purchasers or tenant must satisfy themselves by inspection both internally and externally including gardens or otherwise as to the accuracy of each of the statements contained within these particulars. Any emails, their contents and any attachments may be legally privileged and/or confidential. If you have received an email in error please notify us immediately. You are not authorised to, and must not disclose, copy, distribute or retain any part of it. PAD Estates (UK) or Pad-2-Let Limited may monitor outgoing and incoming emails and other telecommunications on its email and telecommunications systems. Pad-2-Let Limited and subsidiary companies have taken reasonable precautions to minimise the risk of virus infection, however we cannot accept any liability for any loss or damage sustained as a result of software viruses. It the recipients responsibility to carry out such virus checking as is necessary before opening any attachment.  Whilst we endeavor to ensure that our website and property brochures are accurate and reliable based upon the information supplied, these particulars are published as a guide to the property and accuracy cannot be guaranteed. Neither the particulars nor any statement made by or on behalf of Pad-4-Sale Limited or its subsidiary or associated companies is intended to form part of a contract, rental agreement or warranty. Photographs / Images are reproduced for general information and it must not be inferred that any item is included within in the sale or let of the property. Any intending purchasers or tenant must satisfy themselves by inspection both internally and externally including gardens or otherwise as to the accuracy of each of the statements contained within these particulars. All floor plans are provided for informational and illustrative purposes only. Although we endeavour to provide truthful representation, Pad-4-Sale do not in any way warrant the accuracy of the floor plan information and the floor plan layout and measurements may contain errors and omissions. Pad-4-Sale are not liable for and do not accept any liability relating to any loss or damage suffered as a direct or indirect result of use of amy information on this floor plan. Any emails, their contents and any attachments may be legally privileged and/or confidential. If you have received an email in error please notify us immediately. You are not authorised to, and must not disclose, copy, distribute or retain any part of it. Pad-4-Sale Limited may monitor outgoing and incoming emails and other telecommunications on its email and telecommunications systems. Pad-4-Sale Limited and subsidiary companies have taken reasonable precautions to minimise the risk of virus infection, however we cannot accept any liability for any loss or damage sustained as a result of software viruses. It the recipients responsibility to carry out such virus checking as is necessary before opening any attachment. All rights reserved. The copyright of this website is owed by Pad-4-Sale Limited, any images, photographs trade marks and brands are also protected and must not be reproduced without permission of the owners Website © 2018 Pad-4-Sale Limited; Photographs © 2018 Pad-4-sale limited.